2.9 x 2.6 x 2.6 cm. 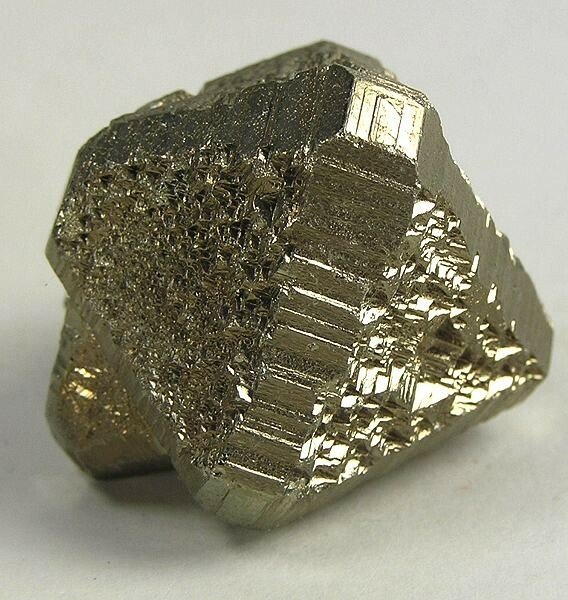 This pyrite crystal out of the Ken Hollmann collection, as you can see, has just the most extraordinary and stunning form. It is an octahedron with little microfaces on all the main faces, segmented by shiny stepped edges where the faces meet! I think it is just a spectacular crystal specimen - an example of a very common mineral taking on a rare, striking, and very pretty form.